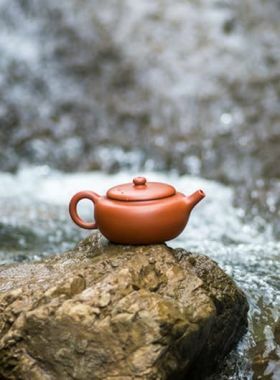 This teapot is exquisite and beautiful, which is very suitable for enjoying a good time tea with friends. Fanggu, written in Chinese as 仿古 (fǎng gǔ), is originally know as another phrase: 仿鼓 (fǎng gǔ). 仿鼓 means the teapot is modelled after the appearance of drum. This style started since Qing Dynasty. 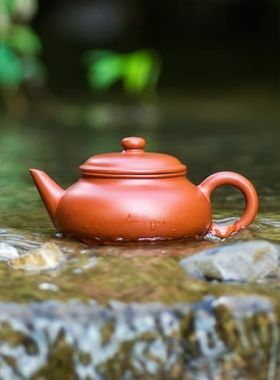 Till now people still make this teapot by imitating its old crafting style. 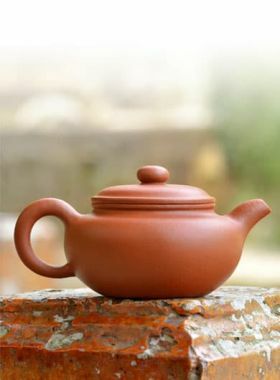 So it is renamed as 仿古, meaning making the teapot in an antique style. 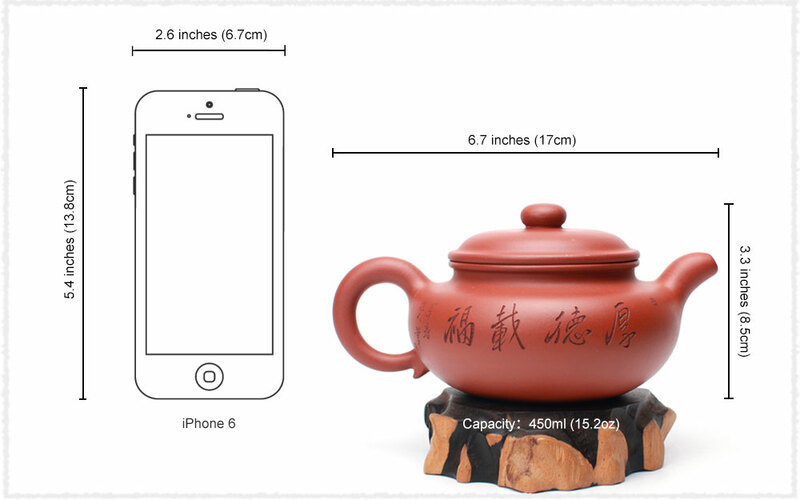 The capacity of this teapot is 450ml; the large space allows the tea leaves to fully stretch and release their aroma. The teapot body is decorated with Chinese characters and a painting bird, very vivid and chic. 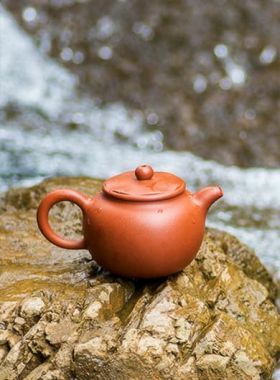 Fanggu teapot always gives us a feeling of dignity and stability for its flat body, round belly and wide tea spout.